Immediately after wrapping up my Hierarch's Shadow Convoy review, I found myself unable to escape a burning desire to see the vehicle with an open cockpit and more substantial turret. I still planned to quickly disassemble the thing (as usual), though, so I invested only a brief bit of time a desk with a spare parts bin to make just a few small changes to put my curiosity to rest. 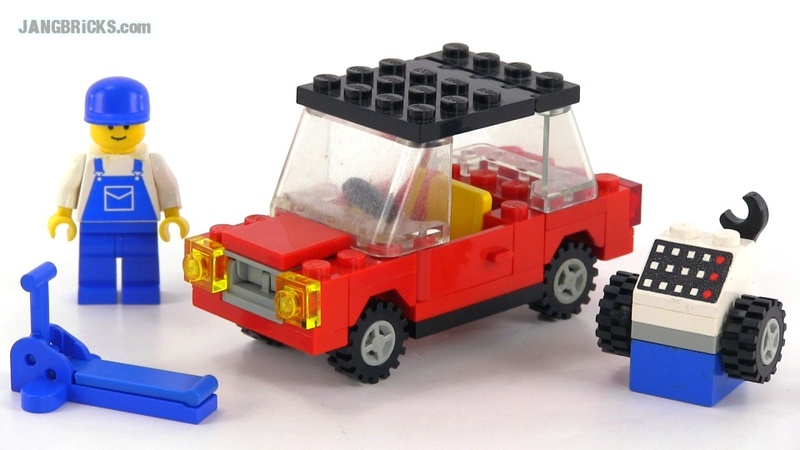 LEGO Classic Town 6627 Cabriolet / Convertible from 1980! Very old, very small set here, about as basic as you can get for a vehicle offering -- the car doesn't even have a roof! 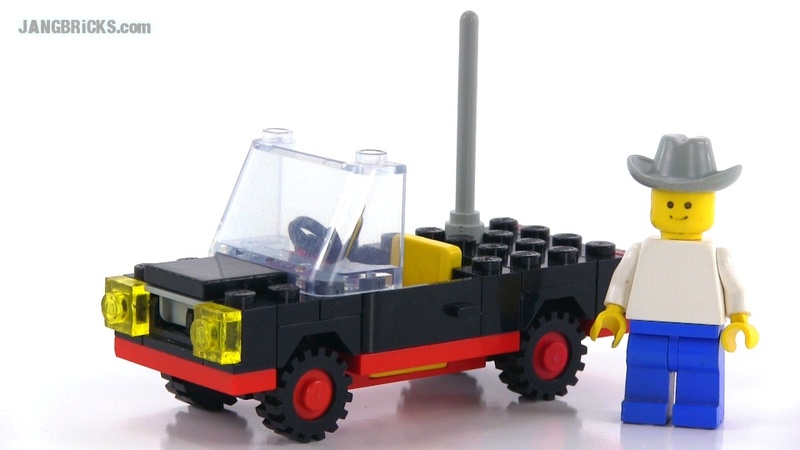 Video: LEGO Classic Town 6627 Cabriolet / Convertible from 1980! 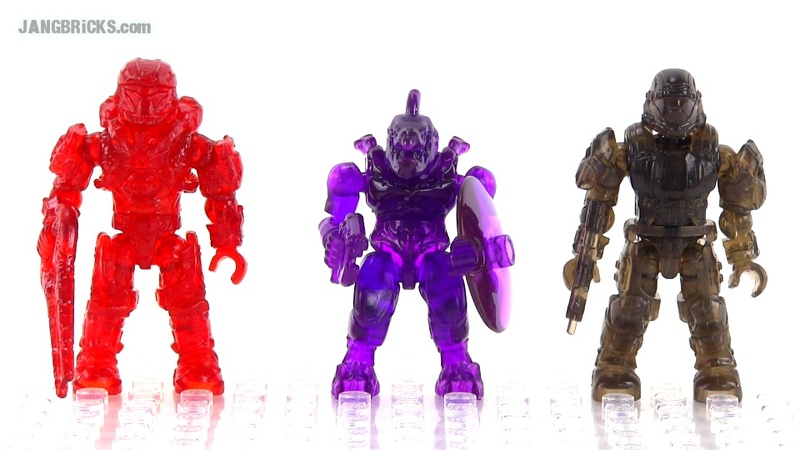 I finally made time to film the three candy-styled transparent figures from Mega Bloks' Alpha Series mystery packs. These are the undocumented "chase" figures that are rarer than the "ultra rare" partial-AC Brute stalker from this series. Here's a bonus pic of a couple normal figures with some of the new transparent bits swapped on. Do we call these partial active camo as well? Or is it energized armor? Something else? Q: "Why do you do say both positive and negative things in your product reviews?" Because that's what a product review is -- an evaluation of the product in the context of its intent and a report on its good and bad aspects. If I only looked for good things to talk about, that would be an advertisement. I'd also see it as a disservice to viewers, who deserve balanced & thorough narrative. I, personally, never trust any source of information that is 100% positive (or negative) about things, because I know they're consciously looking for one side of things and intentionally ignoring the other. 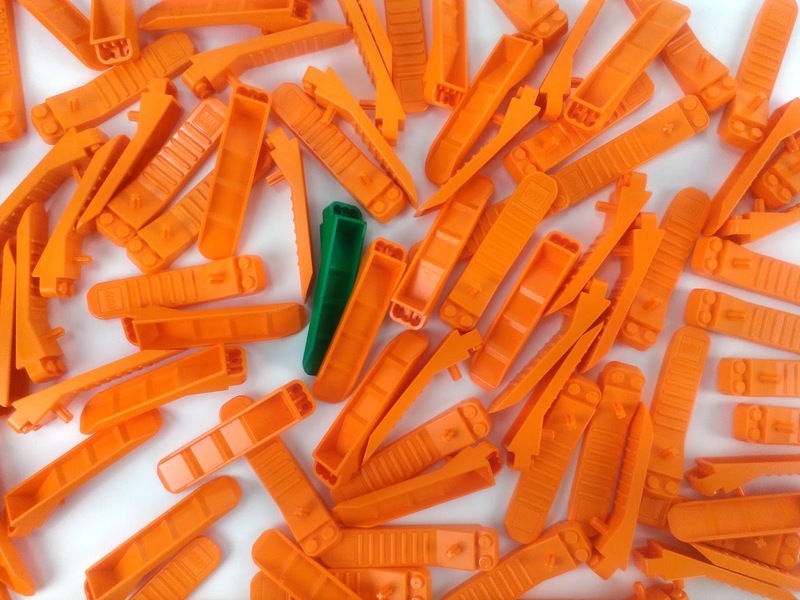 Now, most of my "JANGBRiCKS" video reviews are mostly positive, because most of the products I review are very good and enjoyable. When I encounter something that doesn't stand up to the level of quality or value I expect, though, I say so. If I think something is a really bad deal or poorly made, I say so. Thus, both positives and negatives are covered in my reviews, as seems appropriate to me. LEGO Friends 41034 Summer Caravan review! 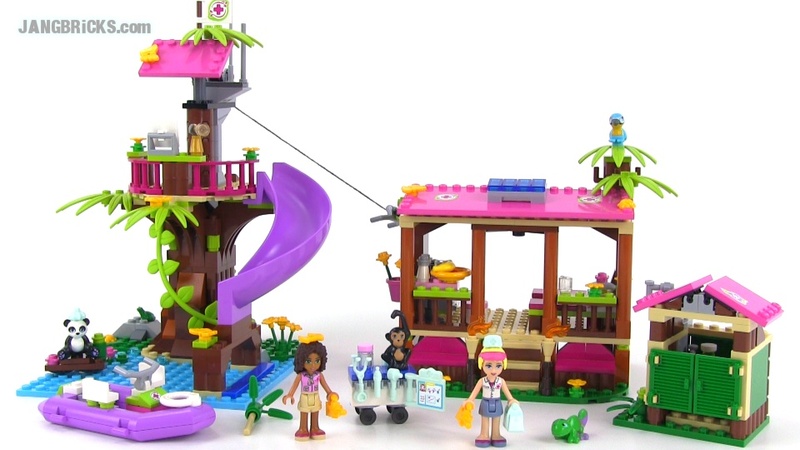 Here's another LEGO Friends set that's new for Summer/Fall 2014, but unlike most from this season, this one is not from the jungle sub-theme. 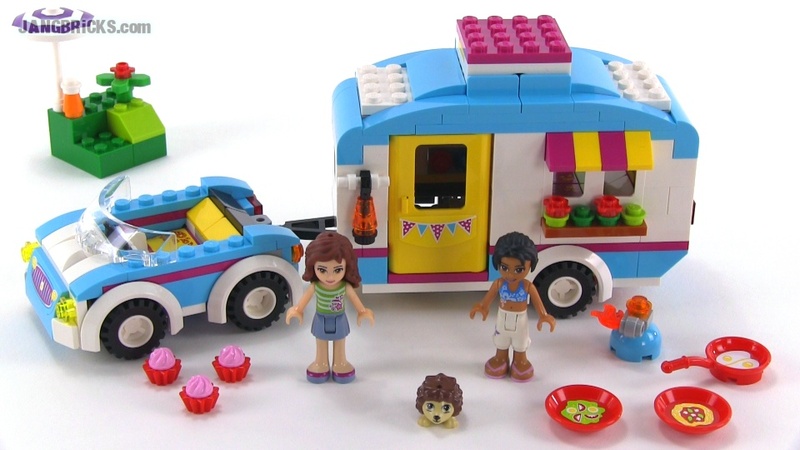 Video: LEGO Friends 41034 Summer Caravan review! 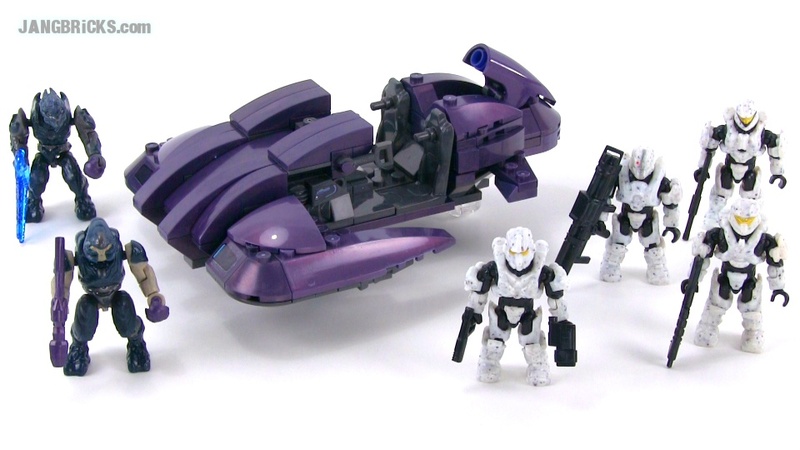 Mega Bloks Halo Metallic Series Cobalt ODST drop pod review! Yet another single-figure set here, a rolling update that actually involves a completely new product with the 2014+ super-articulated figure system. 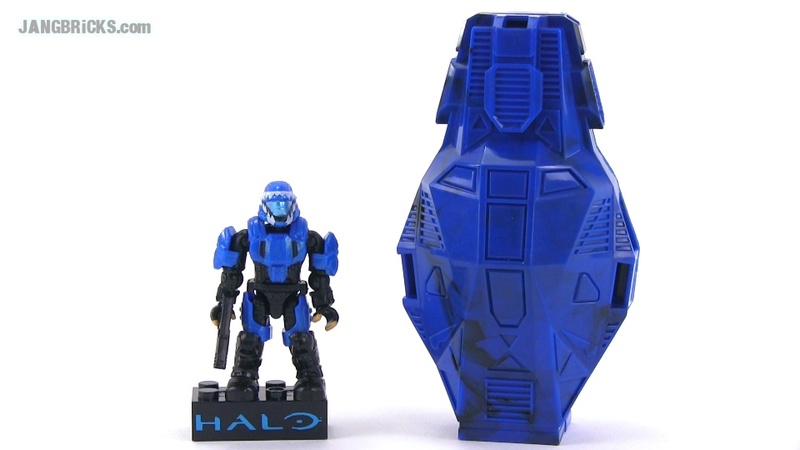 Video: Mega Bloks Halo Metallic Series Cobalt ODST drop pod review! 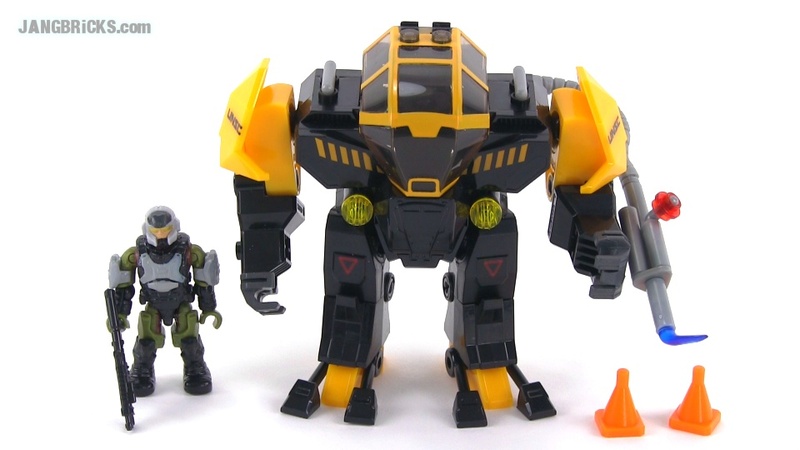 Mega Bloks Halo Sector 12 NMPD Police Cyclops & Offword Cyclops reviews! 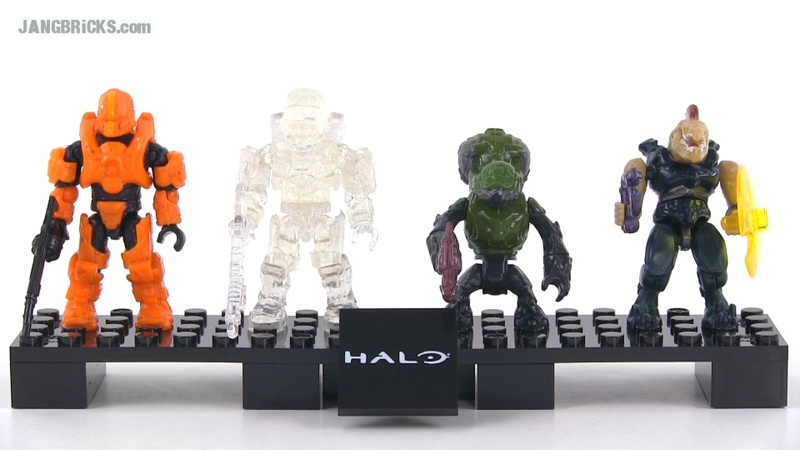 Two new Cyclops videos here for the Mega Bloks Halo fans, one being a completely new variant, just released for the first time, the other being a "rolling update" to an earlier release, now including one of the better-articulated 2014+ figures. Mega Bloks Halo 97326 Sector 12 NMPD Police Cyclops review! 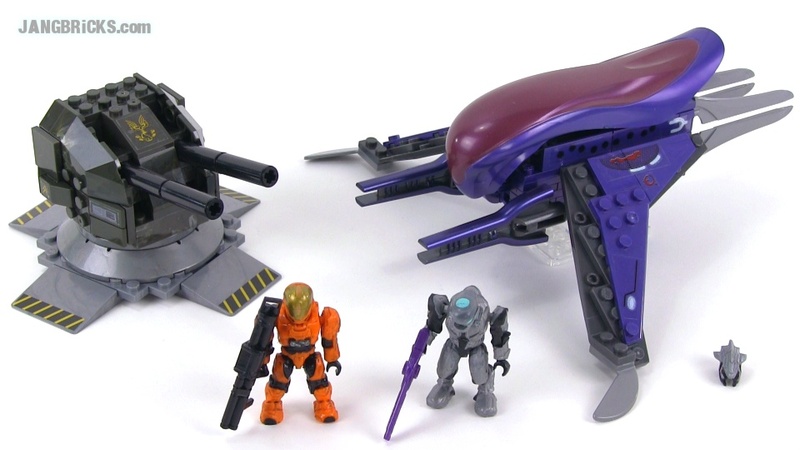 Mega Bloks Halo 97214 UNSC Offworld Cyclops 2014 version review! 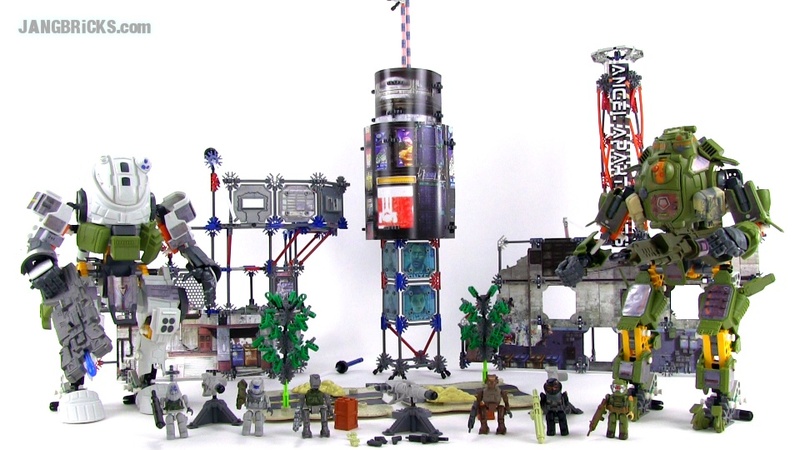 It has been quite a long time since I last found inspiration or motivation to make a custom Hero Factory MOC, but here's one now! As usual, it's one of those things where I looked at one part, then thought about other parts, then started assembling, eventually leading to... a thing! "Ice Bucket Challenge." It's "in" and "viral" right now, and I've gotten multiple "nominations." I will not indulge any of them. I support charities with my checkbook and have donated substantially to ones that I have personally sought out and taken the time to actually understand and invest in. When I want to help someone or something, I do so, tangibly and directly, not because it's "in," and especially not because of peer pressure. Folks who care about amyotrophic lateral sclerosis also known as ALS or Lou Gehrig's Disease (or who are crazy about the "ice bucket challenge" but really don't really know anything about its intended purpose) should visit the ALS Association website for basic learning and to discover some of the options for aiding real care, research, and awareness efforts. 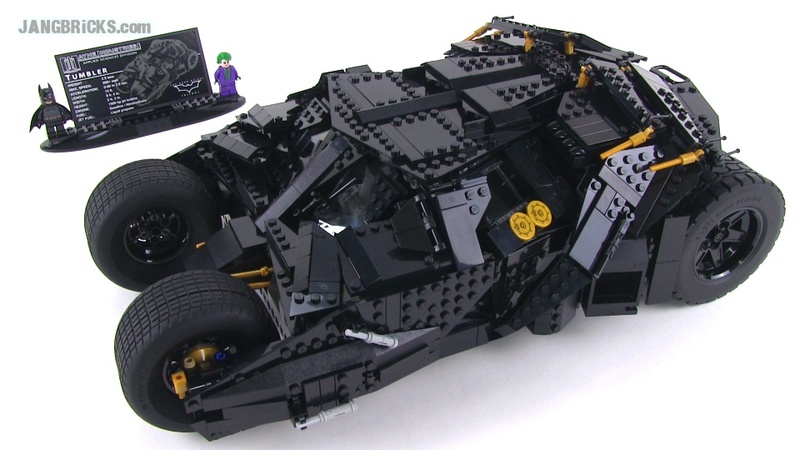 LEGO Ultimate Collectors' Series Batman Tumbler set review! Here's my video review of the huge new 1,869-piece "The Tumbler" set from LEGO, which includes two new minifigures, one of which it seems will remain permanently exclusive to this set! 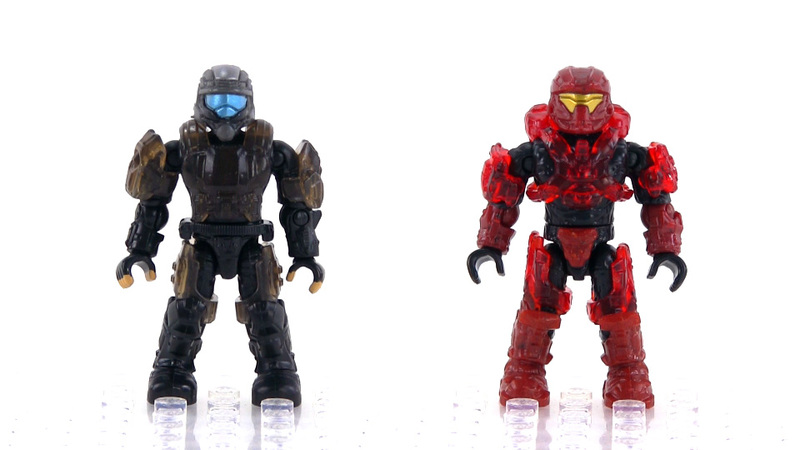 Two new videos three covering late-Summer 2014 Mega Bloks Halo minifigure releases for ya here! Mega Bloks Halo Metallic Series Copper ODST drop pod review! 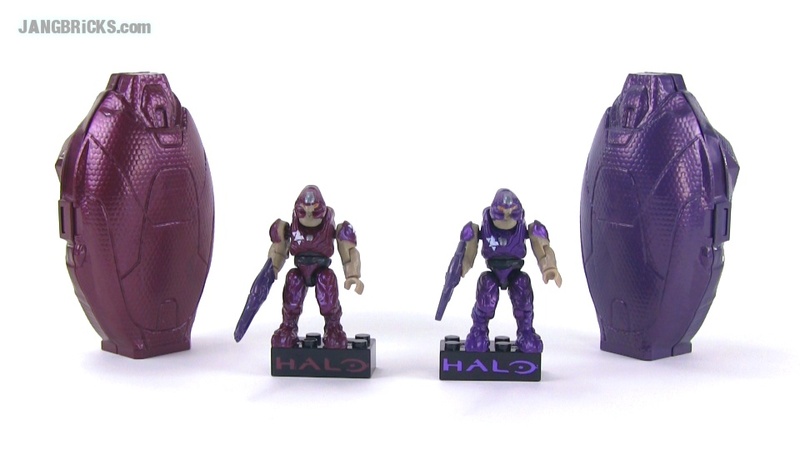 Mega Bloks Halo Metallic Series Crimson Elite & Metallic Purple Elite drop pods! Here's a very small set from what some would call LEGO's own "dark ages," when weird was in, but not cool, and new themes seemed to be launched every few weeks. 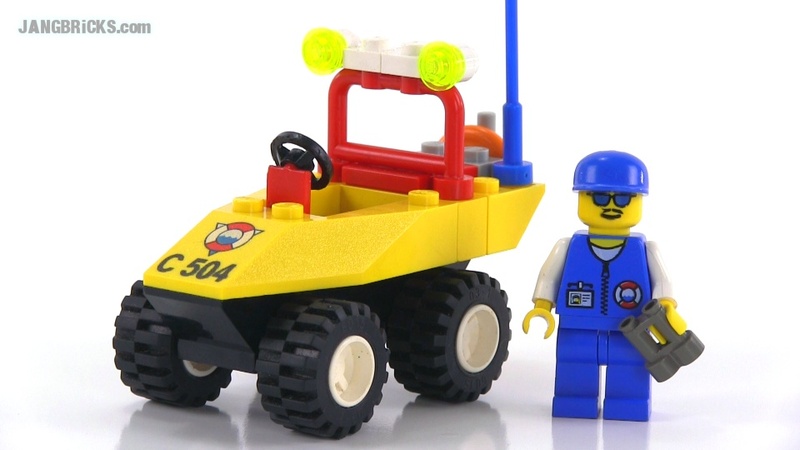 Video: LEGO System 6437 Beach Buggy from 1999! LEGO Mixels Series 3 Wiztastics reviews! 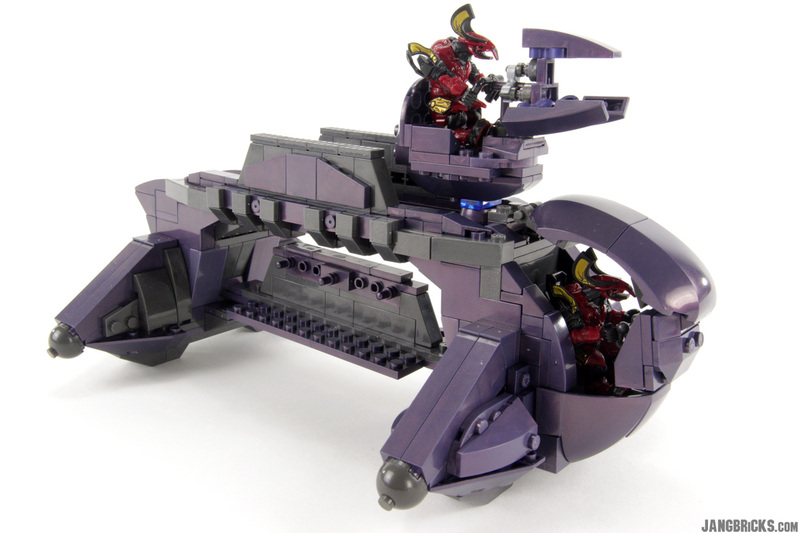 I've now reviewed all of the official builds for LEGO's Mixels Series 3 sets, including the green Glorp Corp, tan Spikels, and here, the purple (!) Wiztastics 41524 Mesmo, 41525 Magnifo, and 41526 Wiswuz. 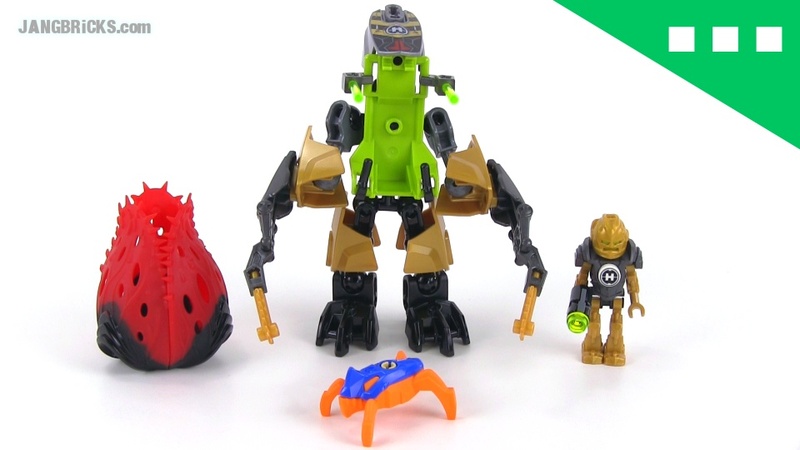 Video: LEGO Mixels Series 3 Wiztastics reviews! Mesmo, Magnifo, Wiswuz! LEGO Mixels Series 3 Spikels reviews! 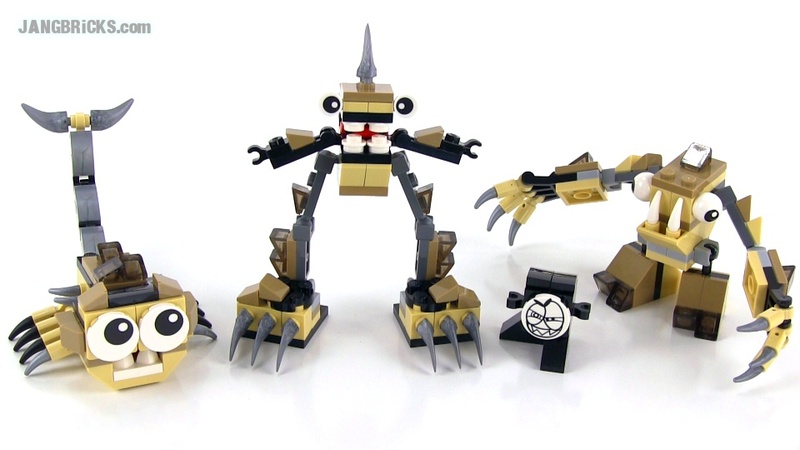 Three more Series 3 Mixels, this time the tan Spikels 41521 Footi, 41522 Scorpi, and 41523 Hoogi. Video: LEGO Mixels Series 3 Spikels reviews! Footi, Scorpi, Hoogi! LEGO Mixels Series 3 Glorp Corp Reviews! LEGO Mixels series 3 is upon us, and I've got 'em! 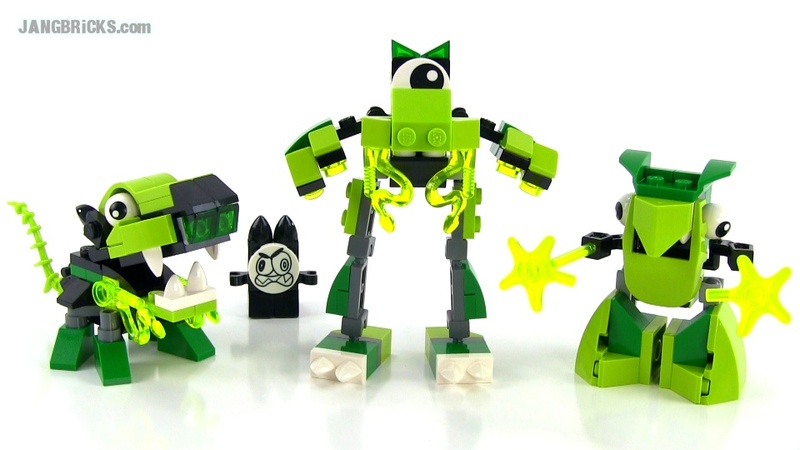 Here's the first tribe, the green Glorp Gorp swamp dwellers. This includes 41518 Glomp, 41519 Glurt, & 41520 Torts all in one video! Video: LEGO Mixels Series 3 Glorp Corp Reviews! Glomp, Glurt, & Torts! Wow, for once I got lucky; something new was spotted in stores by other folks, and I was able to find it at my store as well! Usually my area is way behind and I have to constantly dig around for brief online availability. 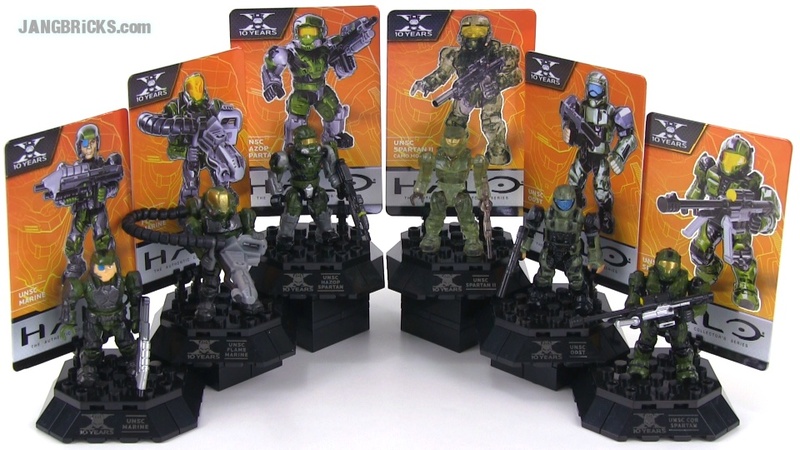 Pictured above is one single TRU exclusive (in the US at least) set that includes different 20 colors of Spartan IIs including two in active camo and one glow-in-the-dark "zombie" variant. 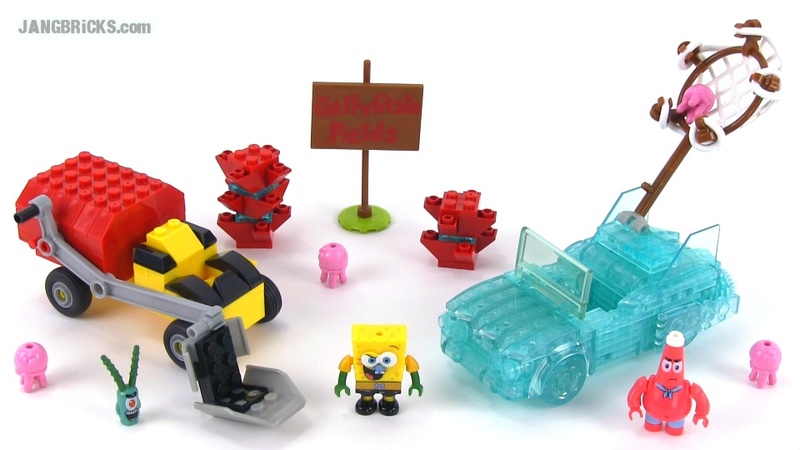 Mega Bloks Spongebob Squarepants Invisible Boatmobile review! When I saw the mass of transparent parts included in this set, I could not resist; I had to have it. 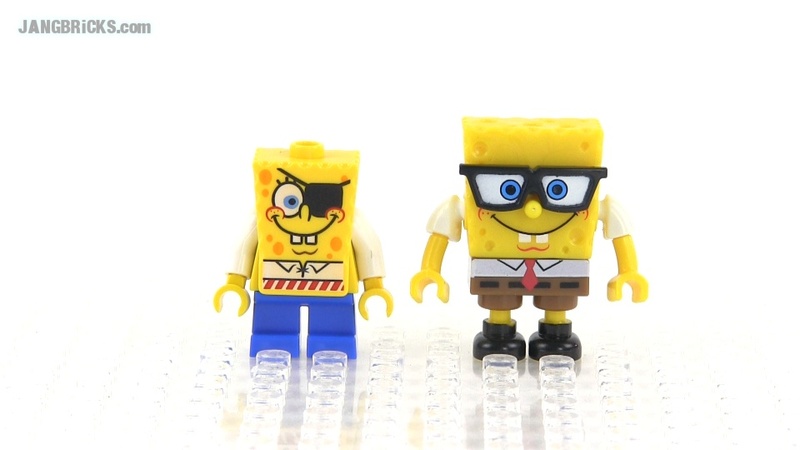 The Spongebob license only recently transferred from LEGO to Mega Bloks, so this was also an opportunity for me to check out how things would change with the new design & manufacturing teams. 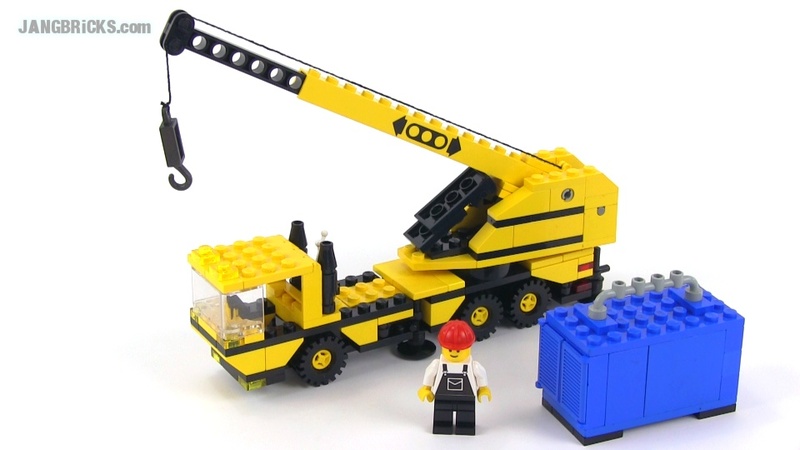 LEGO Technic 42023 Construction Crew set Review! 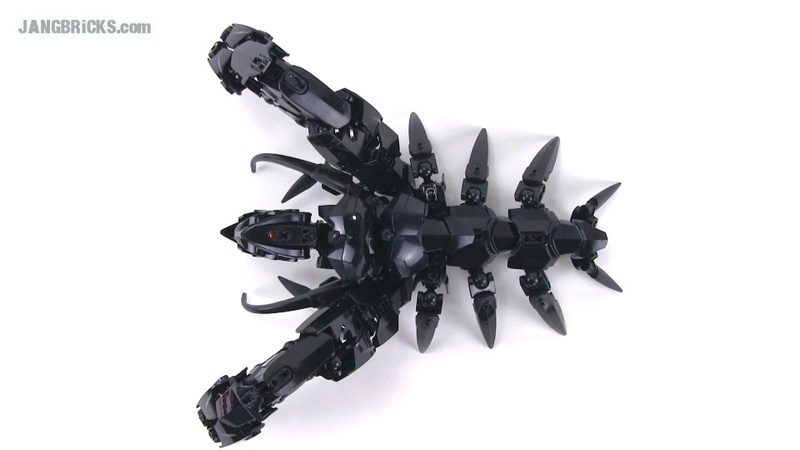 Another mid-year 2014 Technic set here, and this is an unusual type of 3-in-1 set: You build all 3 models at once! Included are an excavator, articulated front loader, and dump truck, each with two gear-driven actions each, plus one other moving part or assembly. 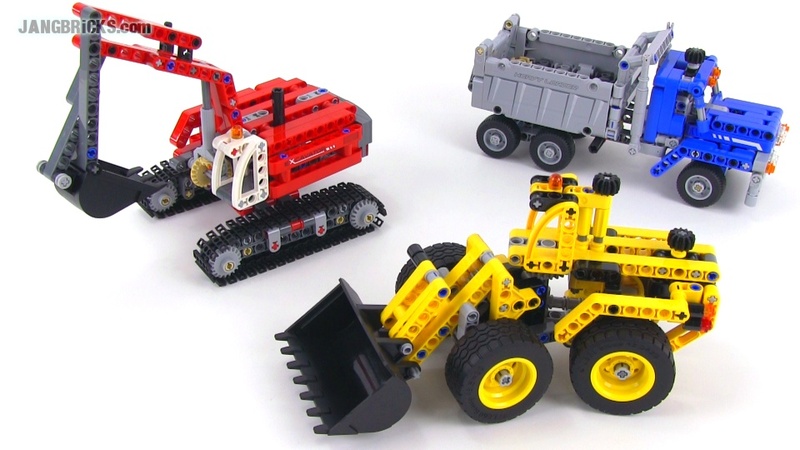 Video: LEGO Technic 42023 Construction Crew set Review! LEGO Hero Factory 44023 Rocka Crawler Invasion From Below build & review! Here it is, the very last of the Hero Factory Invasion From Below Wave 2 sets! 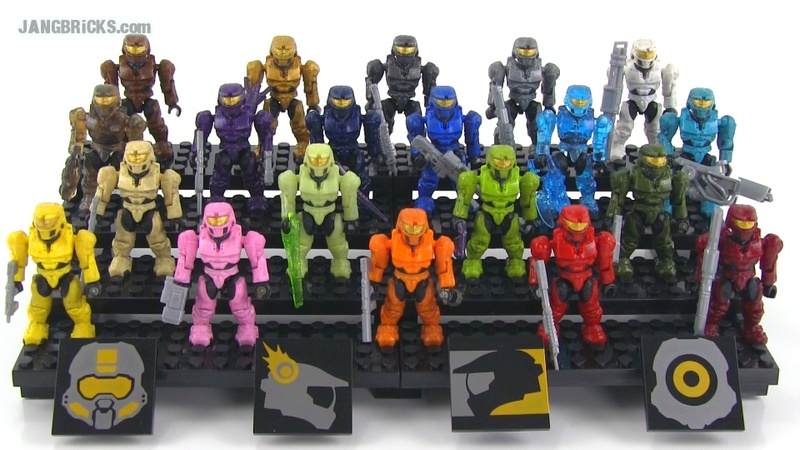 Mega Bloks Halo 96970 Anniversary Edition UNSC Troop Pack review! 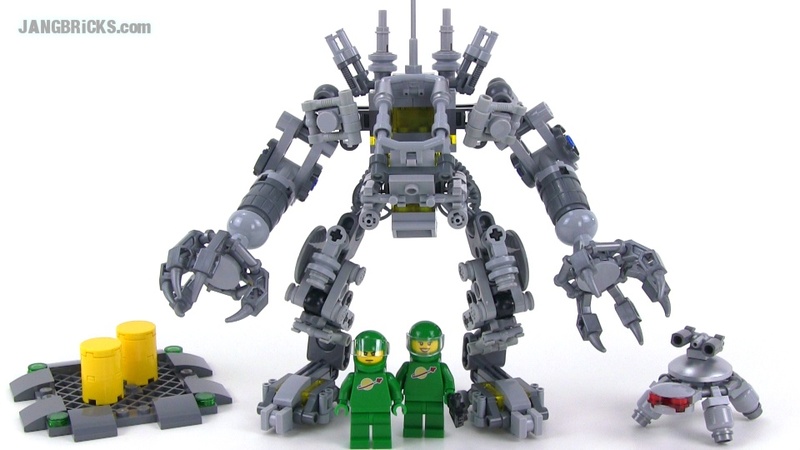 Here's another "classic," celebratory, special edition set from the Mega Bloks archives. This was a Toys R Us exclusive in North America. 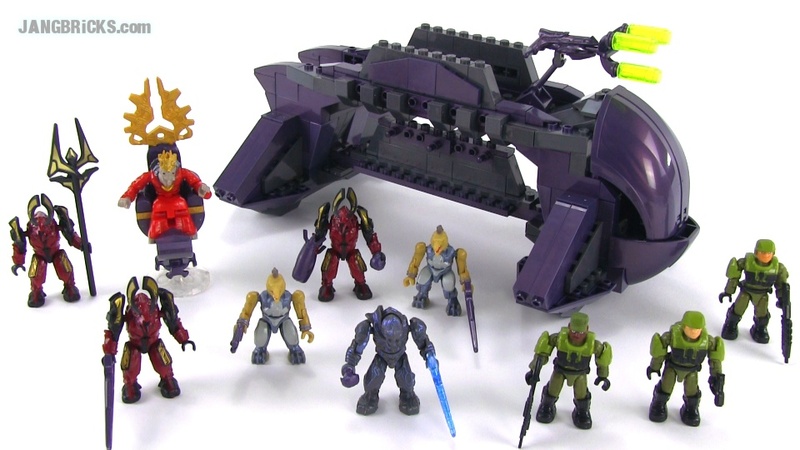 Video: Mega Bloks Halo 96970 Anniversary Edition UNSC Troop Pack review! Finally I got my hands on this small set! I first read of it hitting the streets probably a month ago, but it has been exceedingly difficult for me to track it down! 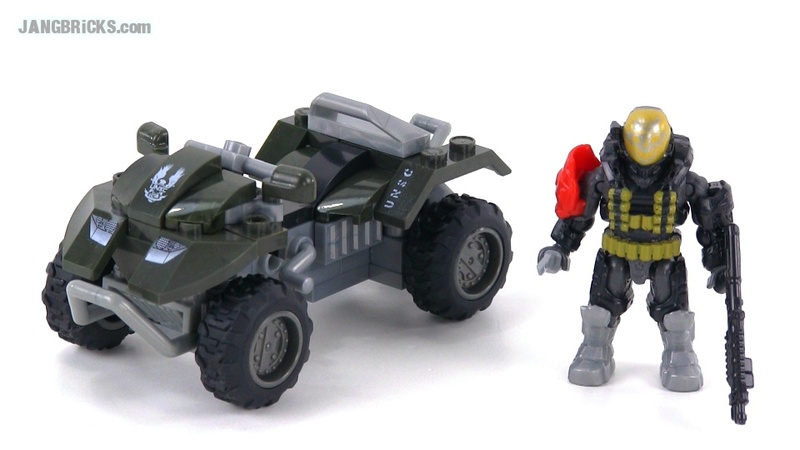 Video: Mega Bloks Halo 97339 UNSC All-Terrain Mongoose with Emile! You may have seen this by now, as I started the upload & auto-publish last night and simply walked away from the computer. I bought this solely in response to viewer requests, going straight for the biggest set in the line! The sheer volume of licensed Titanfall merchandise that comes out of this one box is rather astonishing, but I'm afraid not all is well in Angel City. 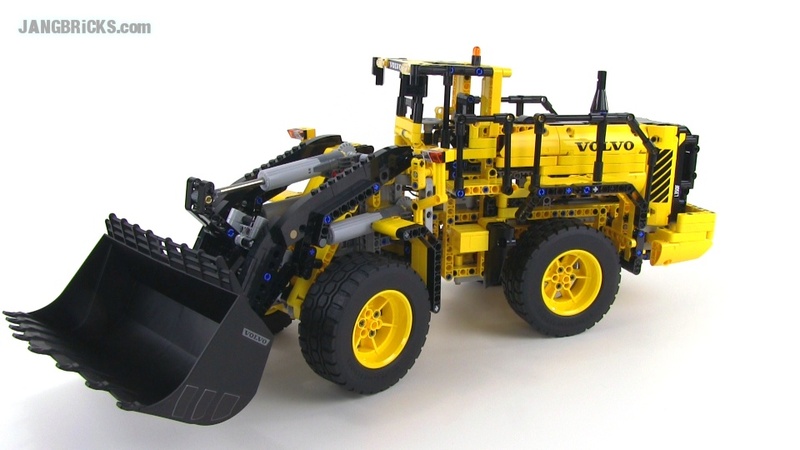 LEGO Technic Volvo L350F Wheel Loader 42030 video review! With my history in remote-controlled models, my lifelong interest in earthmovers, my experience operating heavy equipment, and my fledgling interest in Technic, I had to pick up this set. The build was no small project, but the finished product is every bit as impressive to behold as it looks on the box, if not more. LEGO Classic Town 6658 "Bulldozer" front loader from 1986! Video: LEGO Classic Town 6658 "Bulldozer" front loader from 1986! 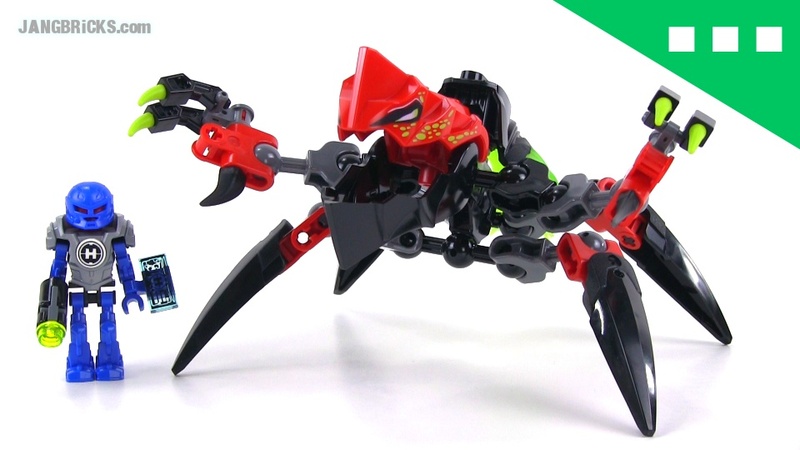 LEGO Hero Factory Tunneler Beast vs Surge build & review videos! One more Invasion From Below Wave 2 set down, one more to go! Man, there's just no end to the new releases! Every time I think I've added the last brand new set to my list, something else gets added! This one showed up pretty suddenly, so I was quick to jump on it and get it all reviewed up, so I can move on to the next! 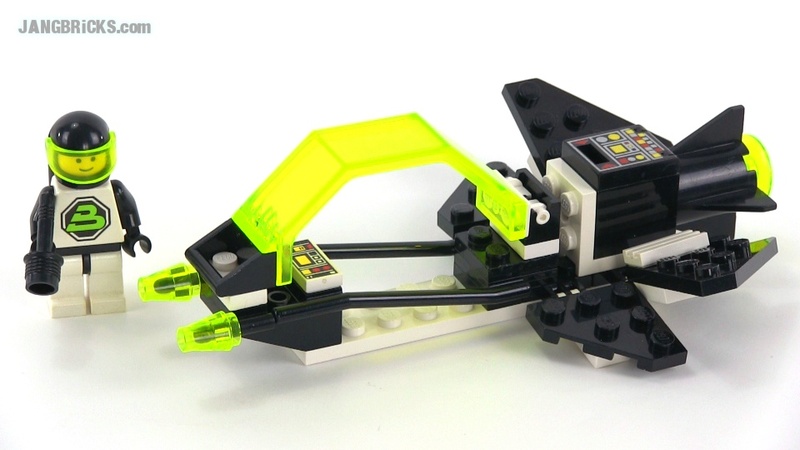 LEGO City 60009 Helicopter Arrest set Review! 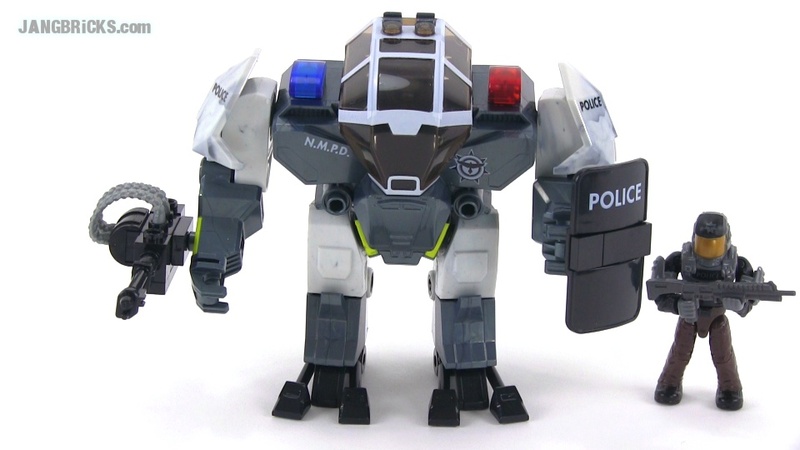 Here's an "Elite Police" set that was officially released for 2013 (technically hit stores in December 2012) and is still available today. 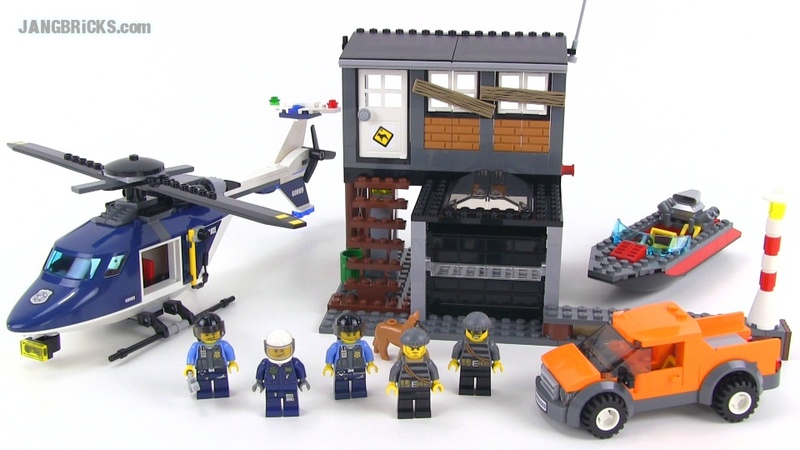 Video: LEGO City 60009 Helicopter Arrest set Review! 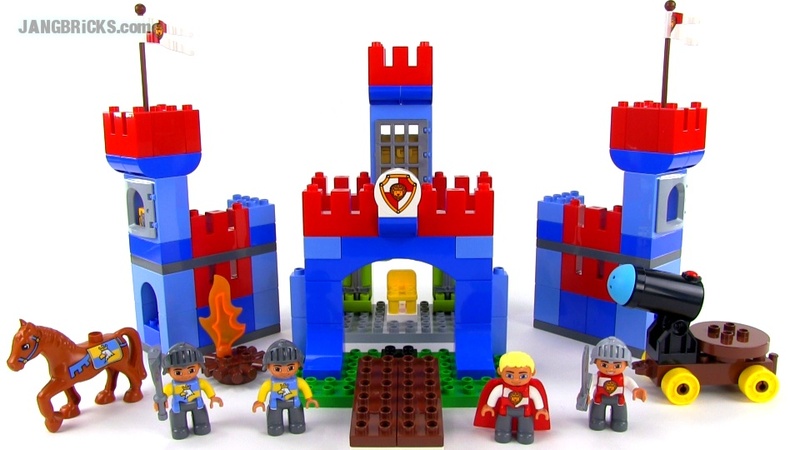 I don't remember exactly when it was that I first floated the possibility of reviewing LEGO Duplo sets, but it definitely wasn't recent. I've put off taking the plunge release after release, but the August 2014 batch finally made it happen. 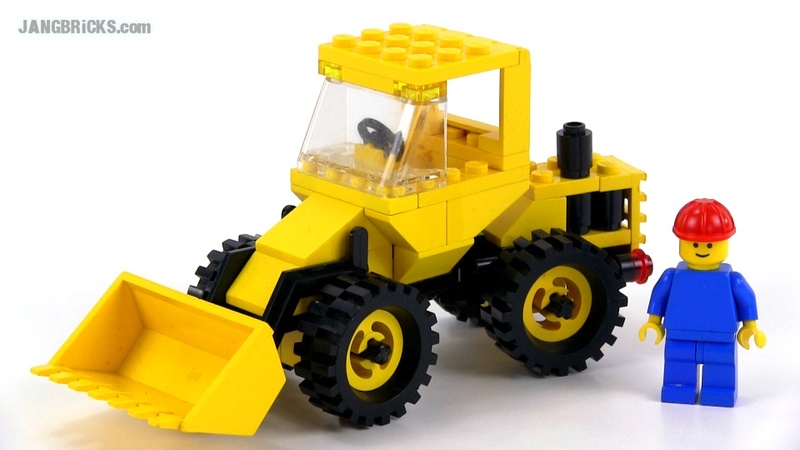 Here's a piece of classic LEGO construction equipment from the mid-1980s. It's a fairly large build for a 4-stud-wide vehicle, and I think it looks good and works quite well for what it is. 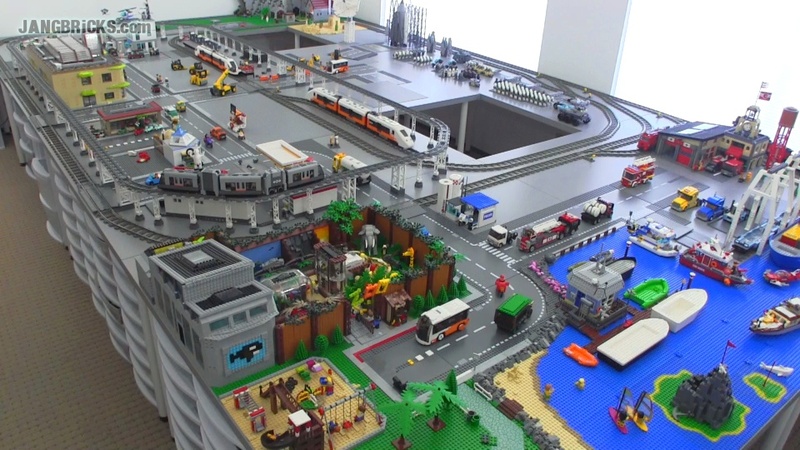 Video: LEGO Classic Town 6361 Mobile Crane from 1986! 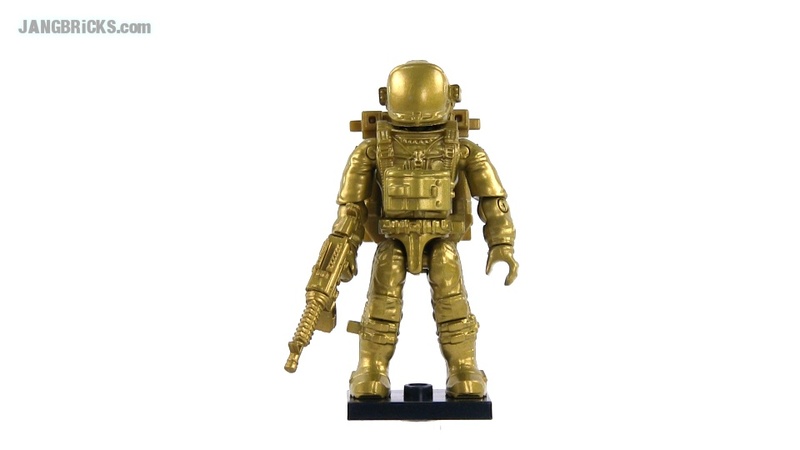 This year a mass-produced Call of Duty promotional/giveaway "exclusive" figure was also added to the fray. I suppose an Assassin's Creed exclusive is in the works as well? 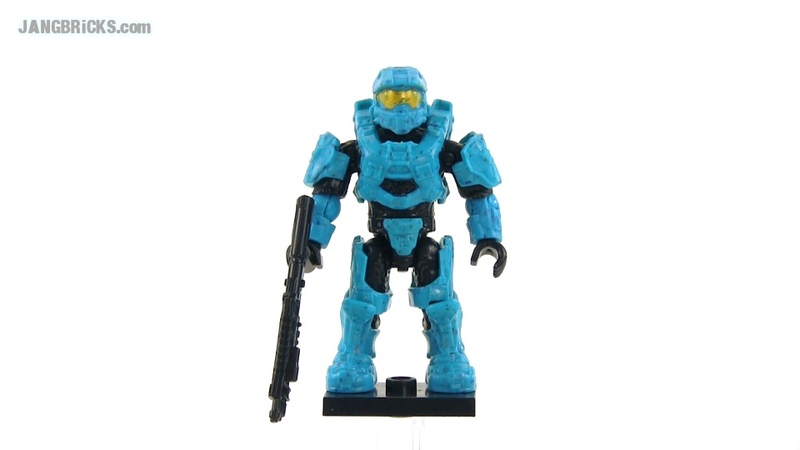 Here's a quick look at the 2014 cyan Spartan in Mk. VI armor with new articulation. 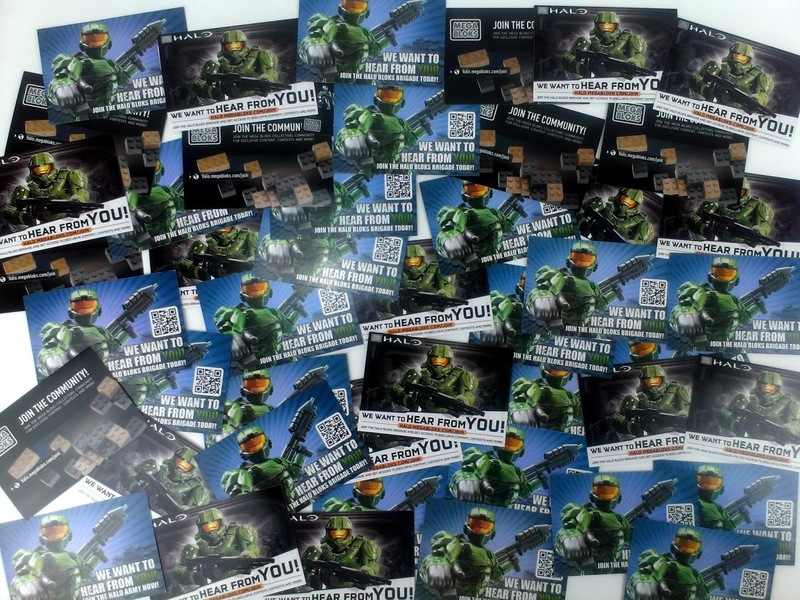 This was given out at San Diego Comic Con and on the Mega Bloks Collectors Facebook page. Like last year's "exclusive" figure, there are a bajillion of these out there and they're not at all hard to get ahold of. Hi! How are you? I'm doing pretty well, myself, just a wee bit tired. I've been working through reviews pretty continuously again and haven't had breaks to do much of anything else. No MOCs, no how-to's, no general updates, no FAQs. Over the past 7 days, 26 videos have been published, all reviews & builds done for reviews! At least for a few days last week I did check out the brief Destiny beta, so that was fun, but I simply compensated & evened things out by sleeping less. D'oh. 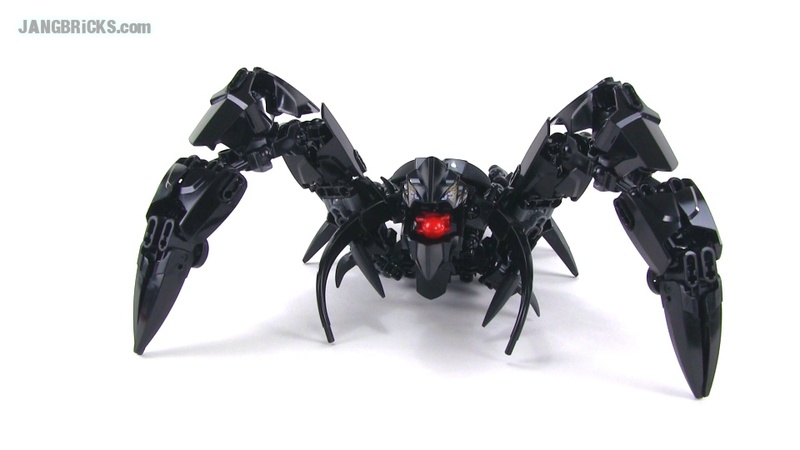 There is definite light at the end of the Mega Bloks release tunnel, but another small LEGO release just hit overnight. I now have over 40 sets in my "to review" queue, in my possession, not counting things that are on pre-order and/or awaiting release. Definitely swimming against the current here, and in July, the current won heartily. In more cheery news, the video of my LEGO shopping mall passed some pretty surprising milestones in just over 3 weeks of existence. Already over 8,000 likes & 2,000 comments, it also became my 4th video to pass the 1 million view mark. The last to accomplish the latter, my February custom city walkthrough, took 4 months. 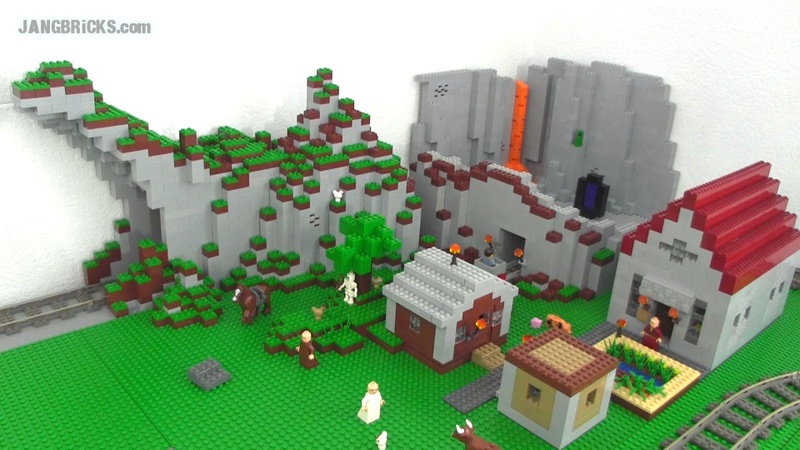 This reminds me, MOCs -- man, it'll be nice to have time to work on them again. Some day! LEGO Hero Factory Breez Flea Machine set 44027 build & review! Here's another Invasion From Below wave 2 set, leaving me with just 2 more to go. I remember being not much of a fan of this when I tried to make a custom version months ago. Now that I've gotten the real deal, the mechanism on the back makes significantly more sense. Unfortunately, it just doesn't work so well. 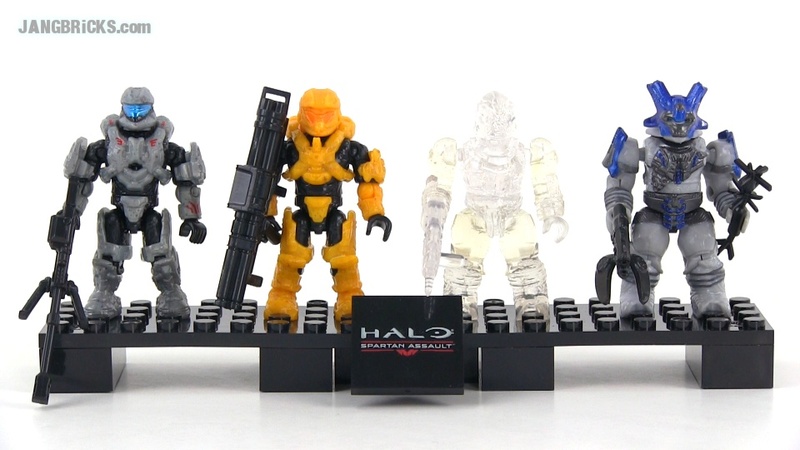 Two named Spartan characters, an active camo unit, plus one additional figure in this new set. This figure pack includes a highly desirable armor variant in clear active camo with the all-new articulation system. Hard to complain about that, yet I manage to anyway ;) Another interesting thing about this product is that it's a revamp -- I reviewed the original, with the same set number, in January. They've completely replaced the two Spartans and kept the Covies. All opinions aside, it's a big step up in features & value.